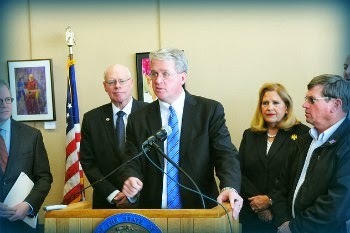 From several locations around the state, Leader Jim Durkin along with all 47 House Republican lawmakers announced their unanimous opposition to the graduated income tax proposal introduced by Democrat legislators. The plan, currently filed as HJRCA 33, would replace the state’s current flat tax with a graduated income tax system, with rates to be determined by the General Assembly. House Republicans are encouraging Illinoisans to sign the petition urging lawmakers to oppose the graduated tax plan. Read more by our members.